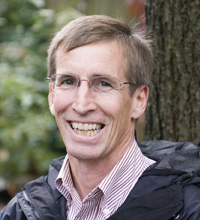 James Deming, Princeton Theological Seminary’s associate professor of modern European church history, earned both his MA and PhD from the University of Notre Dame. His interests are in the social and cultural history of Christianity in modern Europe. He is currently conducting research for a book-length history of soccer and religion in modern Europe. He teaches courses on the history of Christianity since the Reformation, including the dechristianization of Europe, Church, Sports and Leisure, the German Church struggle, and religion and gender in modern Europe. He is an elder in the Presbyterian Church (USA) and recently served as area editor for modern Europe for the Encyclopedia of the Bible and its Reception.